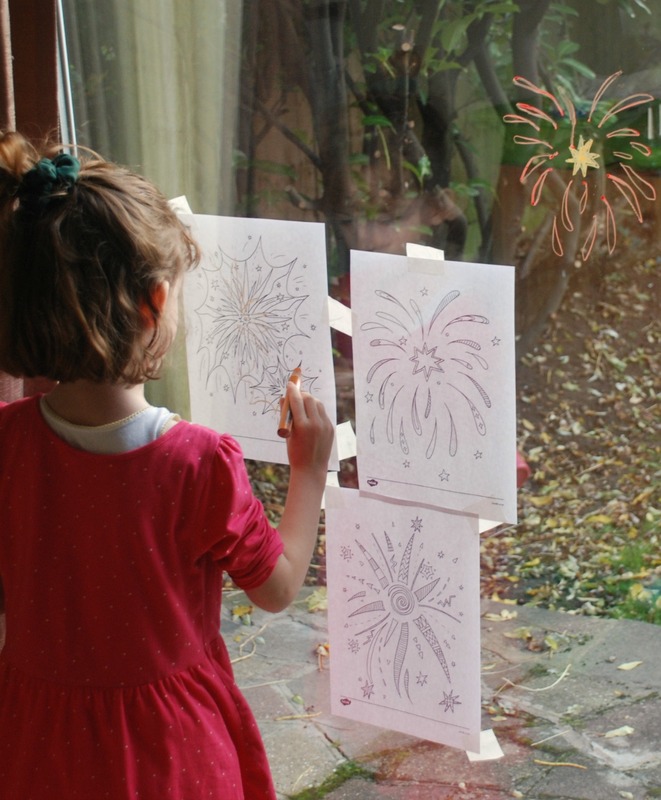 We have been talking a lot about fireworks at the moment, mainly because my daughter hates the noise and because it is the season for fireworks so I am trying to prepare her a bit. 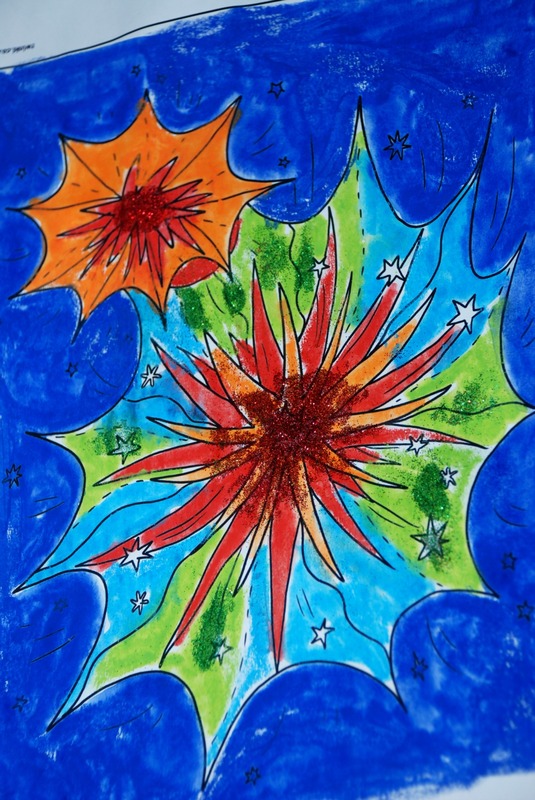 I have been trying to emphasise that there is a fun side to fireworks – they way they light up the sky with pretty colours. So I thought it might be fun to do some firework pictures with her. 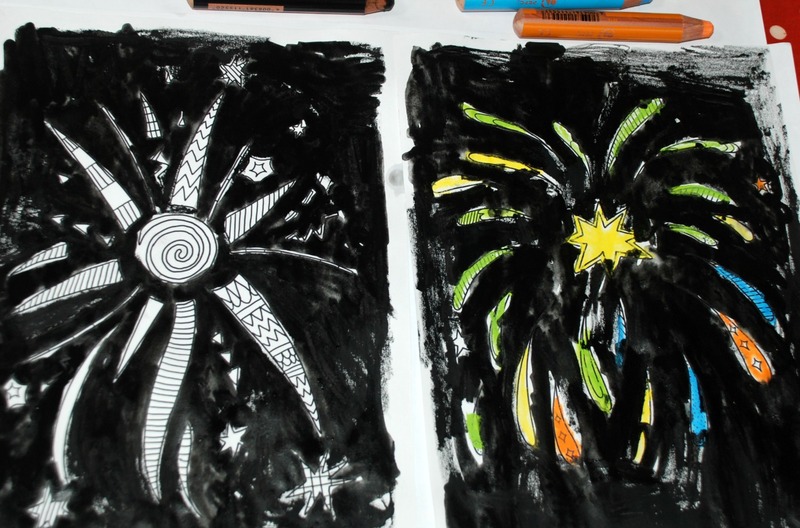 I had spotted the stunning Firework colouring pages on Twinkl (platinum) a while ago and had actually printed them out so I thought this was a good excuse to use them. 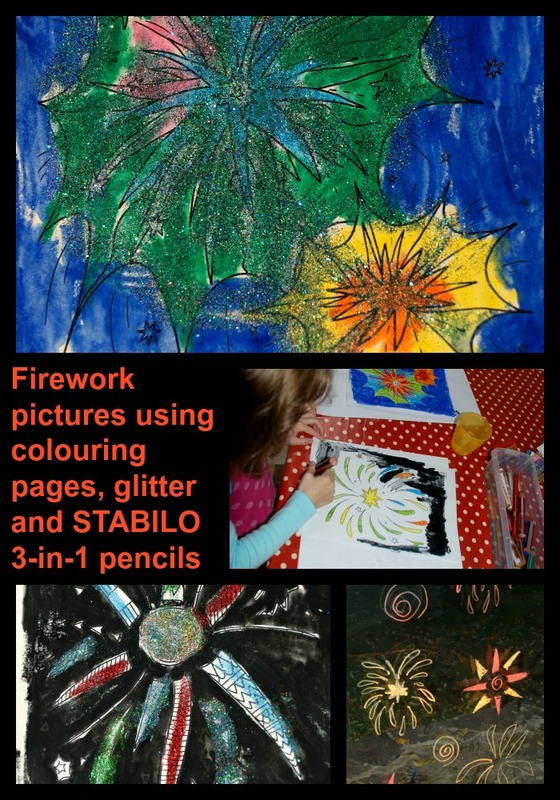 Twinkl also have some lovely free firework pictures which you could use – Firework / bonfire night pictures. 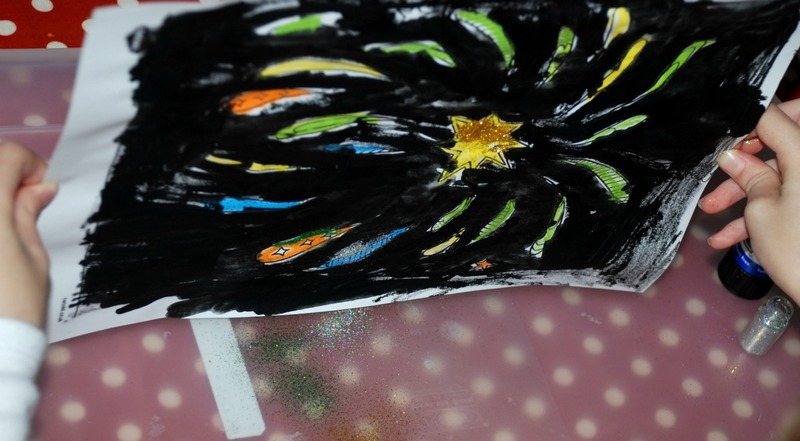 My daughter had already asked if we could use glitter for our fireworks so I suggested that she first colour in the pictures so that the glitter stands out. 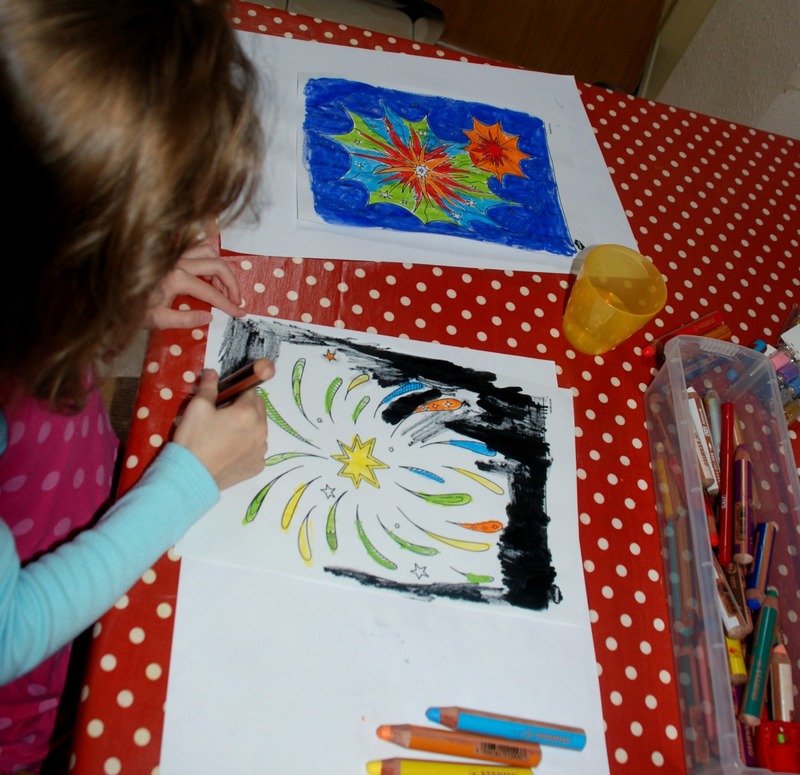 We used our favourite STABILO 3-in-1 pencils dipped in some water to get our lovely painting effect. And some of her end results. 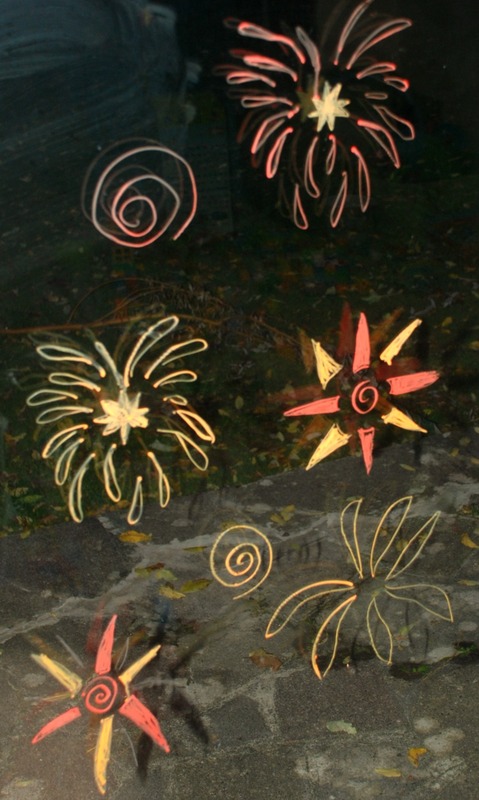 My daughter also had a go at tracing over some of the firework pictures on our sliding doors (again using her STABILO 3-in-1 pencils as they wipe off perfectly afterwards). 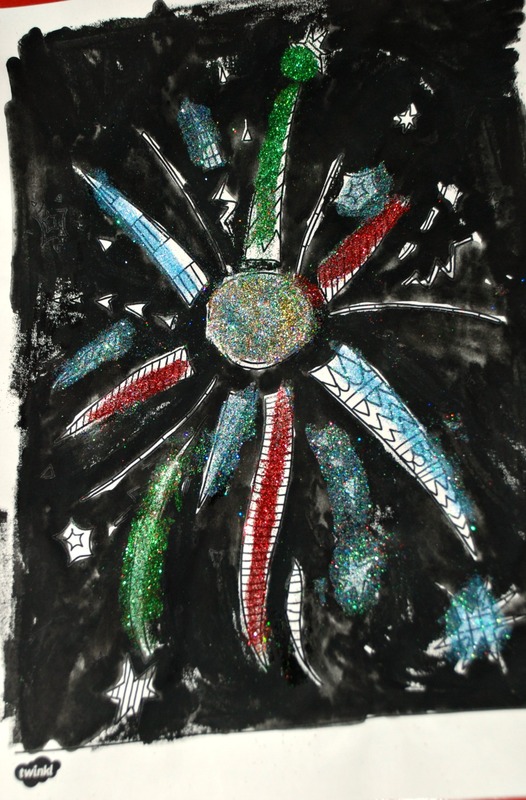 Now I am thinking we should also make some firework biscuits, or maybe some firework cupcakes (yum). The STABILO 3-in-1 pencils come in a number of different packs. The large box of 18 pencils , pack of 10 and you can also get the a pack of 6. My favourite is the box of 18, which is expensive, I know, but you do get a wide range of colours and there really are lots of great ways of using them. 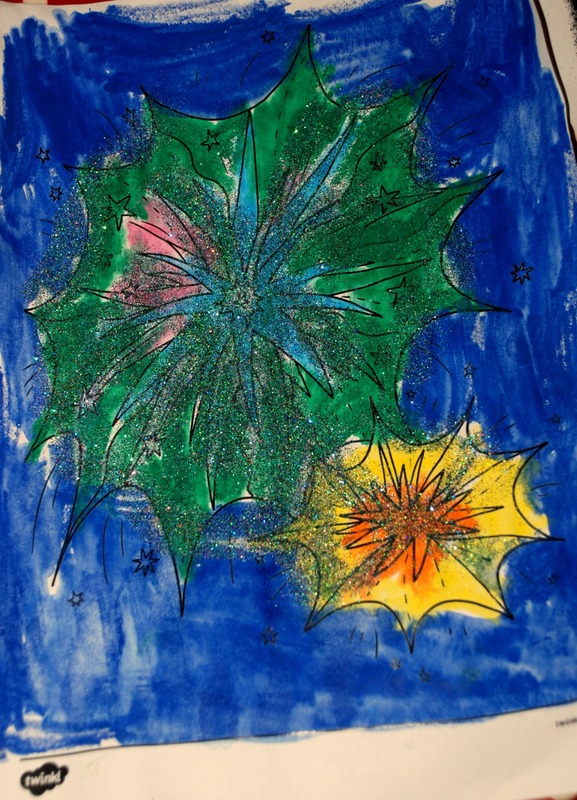 This entry was posted in Art and Craft Ideas and tagged children's art, children's craft, Firework picture, glitter, STABILO 3-in-1, Twinkl. Bookmark the permalink. I love the glitter. I’ll have to check out those Stabilo pencils. I bet my artist daughter would love them.